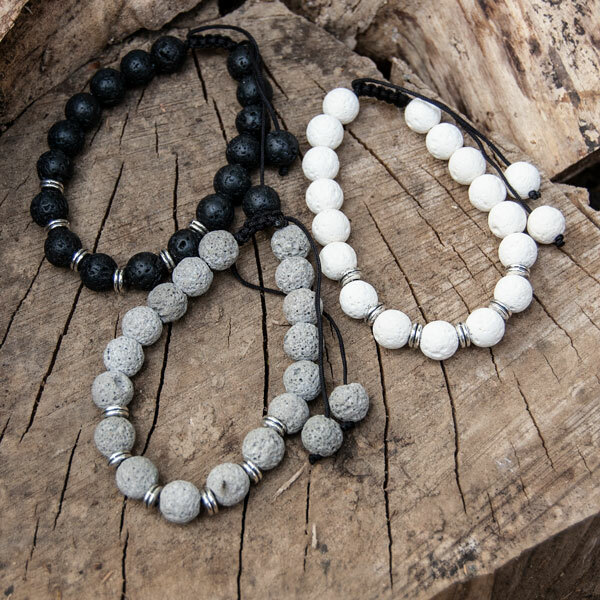 Volcanic residue has been transformed into attractive jewellery that appeals to both men and women. 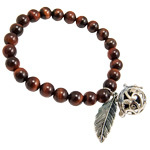 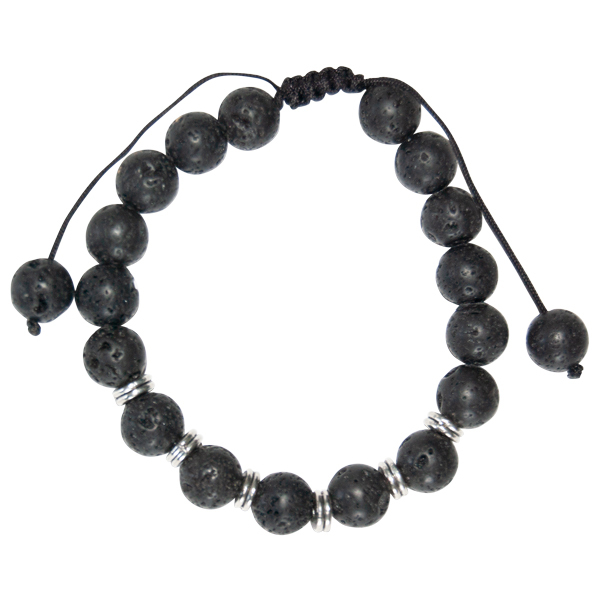 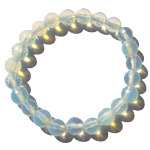 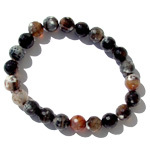 These beads have an irregular porous surface that is often scented with aromatherapy oils. 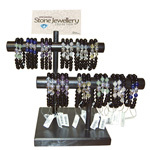 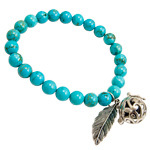 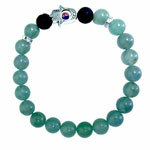 6 silver coloured spacer beads are placed on the top of the bracelet for added interest. 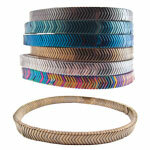 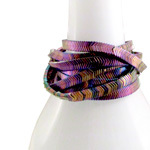 These bracelets offer an easy string closure that suits any wrist size. 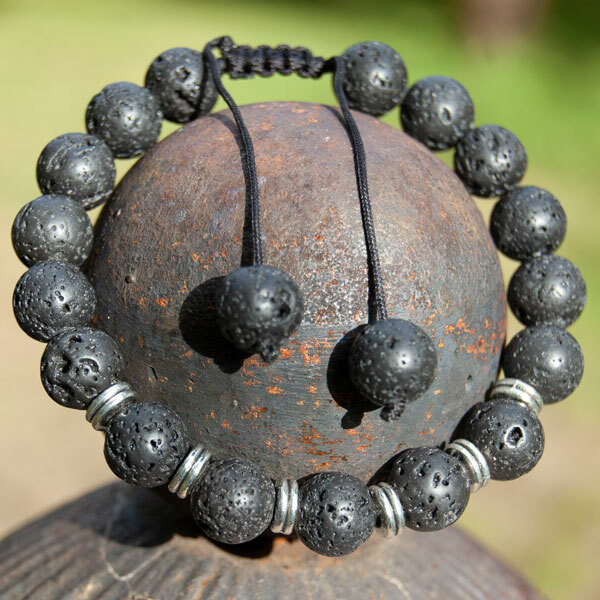 The closure is finished with a lava bead at each end.